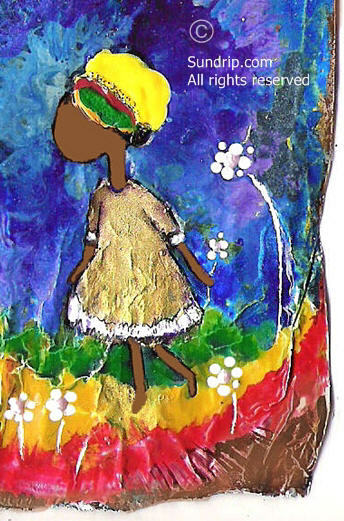 A little Caribbean girl's dream is played out on 4x3 inch tin foil. The foil was allowed to keep its "wrinkled" shape which adds texture and character to the piece. 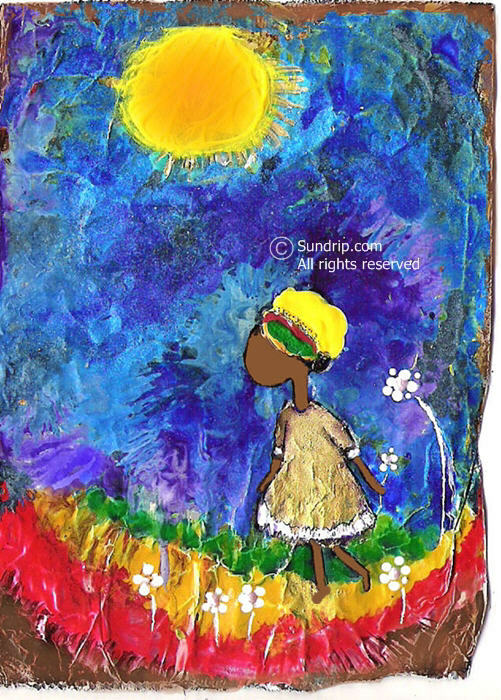 Painting Details: Gold leaf dress, brightly colored headdress, small black ponytail, tall white flowers, blue and purple sky, big yellow sun and a small little happy girl skipping through rainbow colors at her feet. Please see my Etsy shop sidebar link for purchase details.